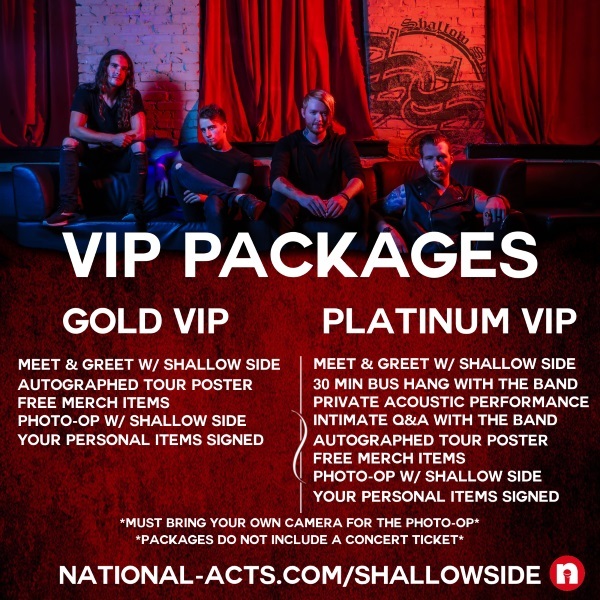 Tickets for Shallow Side VIP - Battle Creek, MI in Battle Creek from National Acts Inc.
***From time to time the items in the VIP Packages sell out. Shallow Side reserves the right to change the contents of the VIP Package at any time based on availability. Not receiving certain items in the listed package does not entitle you to a refund or a discount.